Our Mediterranean Pons Avarcas in Olive are a soft green which provide the perfect hint of subtle color. 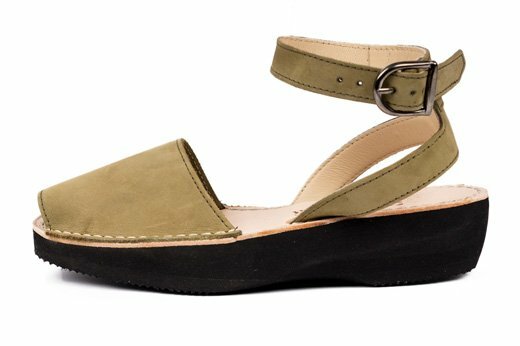 A versatile Spanish Sandal, Pons are made in Menorca by local artisans with high quality soft Nubuck leather and feature a 1.5 inches (3.80 cm) lightweight micro-pore anatomical platform sole. Our Mediterranean style also has an adjustable buckle closure to find an ideal fit. We love to pair our Olive Pons with natural leather accessories, dark denim, and a white top.